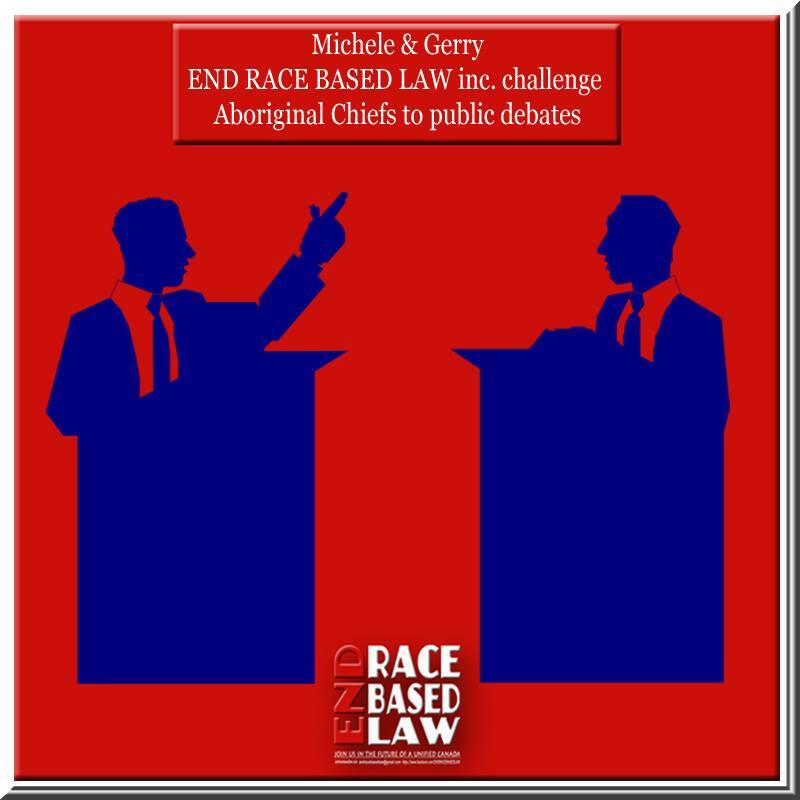 Category Archives: END RACE BASED LAW inc.
We are restarting the News Feed group and would appreciate your participation with any news links you can provide on this subject – especially in your neck of the woods. We can’t stay here in an echo chamber telling endless stories of how broken down the Canadian ‘Indian Industry’ and reserve system is due to race laws and segregation, and not do anything about this situation. As the president and planner of END RACE BASED LAW inc., I am pulling the plug on the frequency of the extensively long articles on this page, for a while, because we are all going to start getting the legal petition signed across this great nation. THE ONLY SOVEREIGN NATION we should all work towards improving, together. IF YOU WANT CHANGE, GET INVOLVED. No amount of posts or comments here will change a thing if we don’t get active. Lots! From ideas on how to organize PETITION signing; to forming coffee parties to have friends over to sign the PETITION; to showing up with the PETITION at festivals, trade shows, and political gatherings of all kinds, in all the corners of the country, in every ethnic group, every business, every union, every government organization; to helping get the PETITION printed out and also mailed in, because this is a legal petition, not an online one. Online petitions carry no legal weight in the house of commons, but the PETITION Gerry Gagnon drafted up was passed by the Clerk of Petitions in Ottawa. We have to do it the old fashioned way and sign it, and send it back to me, so make the effort. We need doers in this. Let’s share ideas and contacts, this is a team effort and we need all our friends on board, red, green, yellow, blue and all the blended shades between. This is about equal rights under the law, and a future we must all enter together, as fellow countrymen & women. I wanted this page and our websites to educate Canadians for a while before we got to petition signing, so they had some balance to the previously one sided conversation, and also to archive it all for generations to come. That was very important to Gerry Gagnon and I. MANY THANKS for the extensive research done by Gerry Gagnon. We all now have a library of articles, facts, figures, laws and stories that back-up the blatant existence of tainted defamation coming from a negatively enhanced and even fabricated narrative that’s become the backbone of the race based blame game extortion industry. Your work has been impressive Gerry, and we are all grateful for your contributions. Now we need to get your PETITION signed, or it’s all for not. I have all new t-shirts coming, so stay tuned! Treaty and land claims submissions. only and does not form any part of the Official Petition. directly onto the front AND also the back of the petition page. and found to meet the official requirements. it is to be presented to the House of Commons. Here’s what all Canadians need to know about race laws and race agendas in Canada. You REALLY need to know this, so please read…. Why End Race Based Law? Canadians believe in equality, that all men and women have equal rights. We have determined that all shall be treated fairly and that no one shall be shut out of Canadian life, and especially that no one shall be shut out because of his, or her, race. Only a policy based on this belief can enable Canadians of Aboriginal heritage to realize their needs and aspirations. Native Aboriginal relations with other Canadians began with special treatment by government and society, and special treatment has been the rule since Europeans first settled in Canada. Special treatment has made of the Aboriginals a community disadvantaged and apart. Obviously, the course of history must be changed. 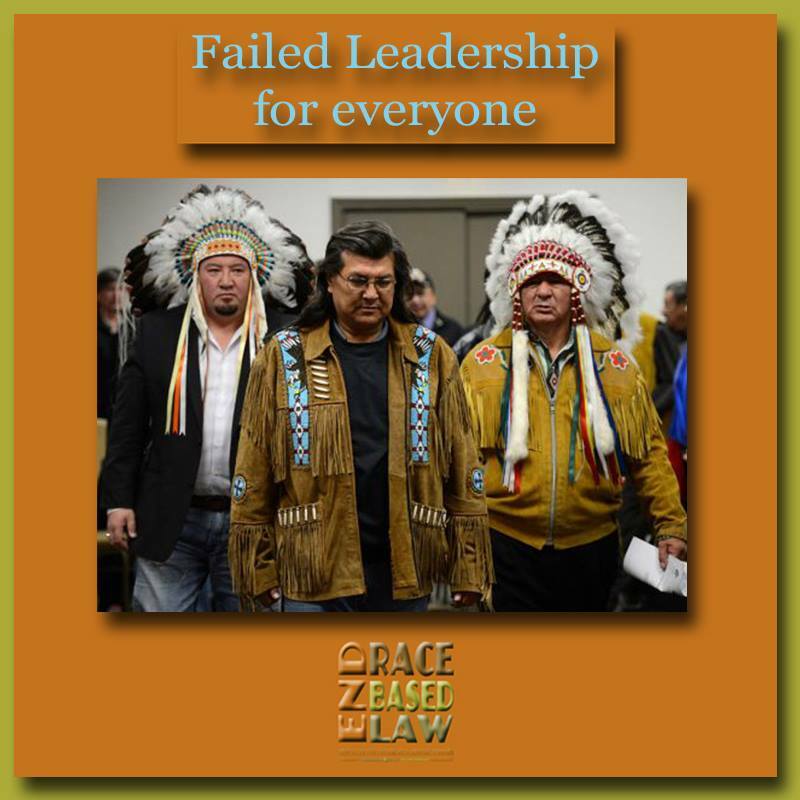 The changes proposed recognize the simple reality that the separate legal status of Aboriginals, and the policies which have flowed from it, have kept the Aboriginal people apart from, and behind, other Canadians. The treatment resulting from their different status has often been worse, sometimes equal and occasionally better than that accorded to their fellow citizens. What matters is that it has been different. We can no longer perpetuate the separation of Canadians. Now is the time to change. “It’s used by our courts in their many decisions emanating out of this burgeoning area of law. 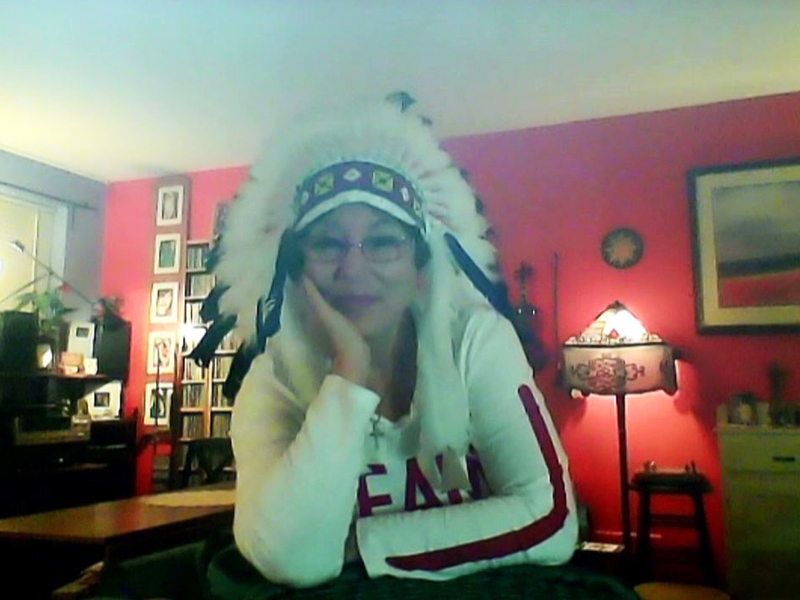 Indeed, in an important Court decision, ‘Keewatin‘, the court extensively discussed what it clearly regarded as the important and worthy concept of “Indianness”. “Canada’s ultimate goal in this regard should be for us all to have no need or desire to have the word “Indian” in our Constitution, in any of our statutes, or to be a meaningful legal term generally. Canadian history at least provides us with an explanation and a reasonable “excuse” for the original legal separation of Indians from non-Indians. “But now, there is no reasonable excuse for our courts, our governments and governing classes generally to further entrench and expand this inherently illiberal and segregationist concept into our laws and civic life. “Therefore, in order that the essentially segregationist and benignly-racist nature of this case be brought to the fore and kept there — in order that the wrong and discomfiting nature of what is happening be not just read, but felt — I will be using, as if it were a verbal hairshirt, that precise, legal, racial term “Indian”. “If the reader feels uncomfortable seeing and reading the word everywhere because it “sounds racist”, then good! That’s the point — it is inherently racist! And as such, it’s inherently wrong that it’s in our Constitution, statutes and court decisions in the way it is. “For the same reason — clarity of unpleasant thought — I will be trying to avoid as much as possible the use of those other sanitized, progressive-sounding terms now being used to denote Indians — terms such as “natives”, “elders”, “urban elder”, “aboriginals”, “indigenous” and “First Nations” (the last, a complete recent fabrication, nowhere to be found in the historical record or in the wording of any of the original treaties). “These are soft, vague, very emotive, relatively modern terms. They’re politically inspired and biased terms, connotative of pre-fall Edenic perfection, poorly supported in law or history, favoured and used by governments, the media, academia and by the “Indian industry” generally, and all of whom use the word “Indian” only when, usually for legal or technical reasons, they absolutely have to. “These terms all have the deliberate effect of masking the fundamentally (albeit unintentional and benign) racist, segregationist nature of the current situation. “I am aware that some will argue that “First Nations” is indeed accurate, given that some aboriginal groups assert that they have never given up their sovereignty, and assert nation-state status.